We're always on the hunt for the best dog products around, and we suddenly thought - what's the point in us knowing if we don't tell you? As part of our Best Dog Products series, we set out to find the most common dog birthday presents, and there are some really pampered pooches out there! Armed with that knowledge, we set to work finding some of the best gifts to help you celebrate your dog's birthday - we hope our selection has something your dog will love. So, without further delay, here's K9 Magazine's countdown of 5 of the best birthday gifts for dogs! 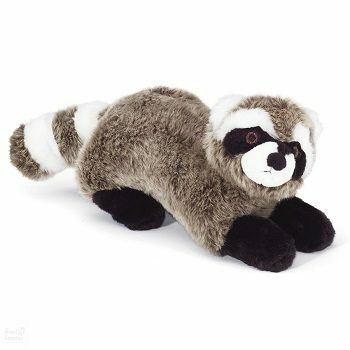 Rocket Raccoon Durable Plush Toy from BennytheDog.co.uk – A quality, durable plush dog toy, Rocket is no ordinary toy! The outer layer is ultra-plush covering the durable, thick mesh inner liner – this toy is made to last! Dinky Doggy Doughnuts from GourmetDogTreats.co.uk – Baked to order, treat your canine friend to these deliciously savoury, baked, soft doughnuts now in four mouthwatering flavours: Fresh Turkey Breast & Sweet Potato, Chicken Liver & Turkey, Fresh Chicken Breast & Bacon and Fresh Beef & Cheese (lactose free, of course!). ScruffyChops Dogs Shampoo from ScruffyChops.com – Designed to take care of your dog’s skin, packed full of loads of natural and organic skin care ingredients. Available in 3 scents – Rhubarking Mad (Rhubarb & Custard), Sugar Doggy (Brown Sugar) and Zest in Show (Pink Grapefruit)! Black Diamond Dish by DePeDi from Jolly and Bea’s – A uniquely designed bowl, created for your special canine friend. The design of the Diamond dish is functional, with a non-slip rubber sole and user friendly, both for dogs and their owners. Crystal Retractable Dog Leads from Canine & Co – Available in pink and blue, these gorgeous crystal encrusted dog leads add a touch of glamour to daily walks. Featuring crystals on both sides and around the edges, the retractable lead runs up to 10 foot in length. A perfect bling accessory! Tell us about your pet's favourite birthday gifts - we'd love to hear from you! Don't forget to send us your pictures and videos of your dogs celebrating their birthdays, and your dog might feature online at K9Magazine.com!